Diversification is one of the most important things to get right when managing a portfolio. When done properly, diversification can increase the rate of return you can expect from a given amount of total risk, or decrease the risk required to achieve a given rate of return. When some assets are rising in price, usually other ones are declining, which creates opportunities for contrarian investors to cycle capital into those undervalued assets. And in my opinion, having a small allocation to precious metals like gold and silver is a useful part of diversification, because they are partially uncorrelated with stocks and bonds and have different and unique risks and opportunities. This article provides extensive info on how to invest in gold and silver for part of your portfolio, including the pros and cons of various methods. Put simply, precious metals serve as a hedge against market volatility, political instability, currency weakness, and economic collapse. Because they are chemically unique, physically rare, and easily malleable, gold and silver have been used as money across much of the world for thousands of years. While they can be quite volatile, they historically store wealth very well over the long-term. Benefits: Precious metals have no credit risk, maintain their global purchasing power over the long-term in the face of inflation or currency devaluation, and aren’t very tightly correlated with stocks, bonds, or real estate. Downsides: Commodities including precious metals produce no cash flows themselves and can be quite volatile. Most precious metal miners are historically poorly-managed companies that lose a lot of money. Due to all this, whether investors should own gold and silver is surprisingly controversial. On one hand there are people who distrust the global economic system and invest almost entirely in precious metals. On the other hand, many mainstream portfolios have zero exposure to precious metals, with some investors believing that no respectable portfolio should have any gold or silver allocation at all. 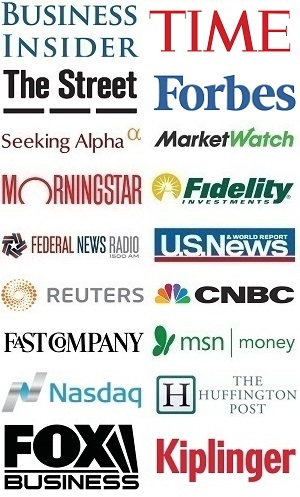 This site is read by investors from all over the world. For many of them, you don’t have to ask why gold and silver might be considered a valuable asset to hold. I’ve got readers from Greece, Argentina, Turkey, Nigeria, and virtually every country. I think investors in certain countries like the United States get too complacent. They think a lot of the bad things that happen to other markets can’t happen to their own, even if it’s happened multiple times to the U.S. in the past. We saw first hand recently in 2018 when the currencies of Argentina and Turkey plummeted. Their stock markets cratered and bond yields spiked, meaning bond prices fell and inflation-adjusted returns for a variety of asset classes became terrible. These things happen from time to time around the world. Investors from those countries holding gold, or assets denominated in foreign currencies- they’re the ones that made out well from the carnage in their domestic economy. How much should you hold in gold and silver? That’s up to you and your unique circumstances. How old are you? Where do you live in the world? What’s the rest of your financial situation like? Personally, I think putting 5% of a portfolio in precious metals is appropriate, and maybe up to 10% in some cases. If you invest too much, you risk missing out on the better growth historically offered by other asset classes. However, having no allocation leaves you exposed to certain risks that stocks and bonds can’t always compensate for. Famous Shark Tank investor Kevin O’Leary holds 5% of his portfolio in a combination of gold bullion and gold ETFs. When gold goes up in price a lot, he sells some. When it dips, he buys some more. Hedge fund billionaire Ray Dalio similarly recommends holding a 5-10% allocation to gold as part of an “all weather” strategy; a portfolio that holds up well in a diverse array of economic conditions. I think both of those examples are reasonable, and that a small allocation to precious metals within a portfolio that otherwise mostly consists of stocks and bonds and real estate is appropriate for many people. Learning how to invest in gold and silver is challenging because directly investing in any commodity is filled with headwinds against you. First of all, commodities, including precious metals, don’t produce any cash flows like a profitable business or even an interest-paying bond does. Instead, they just sit there, as you hope they go up in price. Gold and silver are good at holding their value over the long-term against inflation, but apart from that, don’t do a lot for you by themselves. The problem with commodities is that you are betting on what someone else would pay for them in six months. The commodity itself isn’t going to do anything for you….it is an entirely different game to buy a lump of something and hope that somebody else pays you more for that lump two years from now than it is to buy something that you expect to produce income for you over time. Secondly, there are transaction costs associated with precious metals investing. If you buy physical gold, there’s a company in the middle making a profit. They buy it at wholesale prices, turn it into fine investment-grade gold, and sell it at retail prices. There are potentially shipping costs, and there is a cost associated with security and storage, along with a risk of theft or loss. 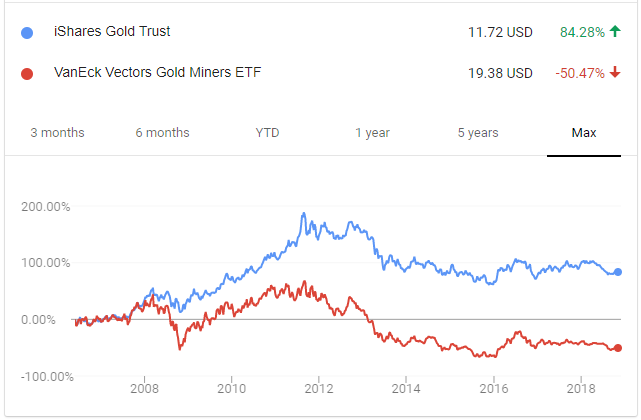 If you instead invest in an ETF that holds precious metals, they have an expense ratio, which covers security and all the administrative costs of managing the fund and their hoard of metal. So, not only does typical precious metal investing not produce cash flows and instead relies entirely on the metal appreciating in price, investors start at a loss due to the associated expenses along the way. There can certainly be a place for physical precious metals in your net worth. Some investors use it as a hedge against catastrophic risk, like the collapse of a national economy. But overall, there are substantial downsides. That’s why my strategy for gold and silver investing is to hold a diverse mix of gold and silver ETFs as well as precious metal streaming/royalty companies. The dividends from the companies pay for the expense ratios of the ETFs, so that the portfolio has a self-sustaining precious metal hedge. The rest of this guide discusses the pros and cons of holding precious metals in the form of 1) physical gold and silver, 2) ETFs and options, or 3) miners and streaming/royalty companies, and explains how to approach gold and silver valuation. The oldest method for gold and silver investing is just to buy some physical coins or bars. The advantage to the physical approach is that it’s the safest, least complex way to invest in gold and silver. You buy some from a reputable vendor, and hold it in a safe place. However, it quickly starts to get more complex than that. Where do you store it, and how do you keep it safe? Personally, I think owning a few gold coins tucked away in your home (and an envelope with a bit of hard cash) is a good idea. We’ve all seen areas that are hit by devastation, either economic or weather-related, where it’s good to have some trade-able assets on hand. You can’t always rely on banks or electronic payment networks to provide much-needed funds during times of crisis. I’m not talking about zombie apocalypses here; just your average run-of-the-mill major economic problem or natural catastrophe. In 2015, during Greece’s economic crisis, a run on banks resulted in withdraws being limited to 60 euros per day. You’d have to wait in long lines just to get a trivial amount of cash. In 2017, when Puerto Rico was devastated by a hurricane and the whole territory was without power, business couldn’t accept credit cards and cash was needed for everything. But many banks were closed and others were limiting withdraws to $100/day. Again, there were massive lines at banks and the handful of working ATMs. That’s why having some physical cash and gold stashed around for times of emergency is not a bad idea. 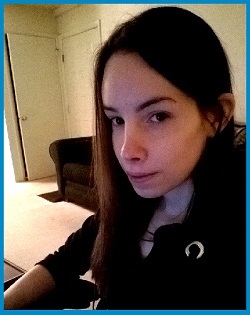 SilverGoldBull.com is a highly-reviewed and reputable way to get some gold coins or bullion. But once you start getting to large amounts, it’s unsafe to store physical gold and silver at your home. If you want to hold more, it’s important to store it offsite professionally with security. This comes with regular fees, which eats away at your investment. The easiest way to invest in gold and silver is to buy one or more exchange-traded funds (ETFs). The key advantage is that they are extremely liquid, and you can buy or sell them within your brokerage account. This allows for easy portfolio rebalancing and an inexpensive and hassle-free buying/selling process. As ETFs become more and more common, the general trend is for them to become cheaper. 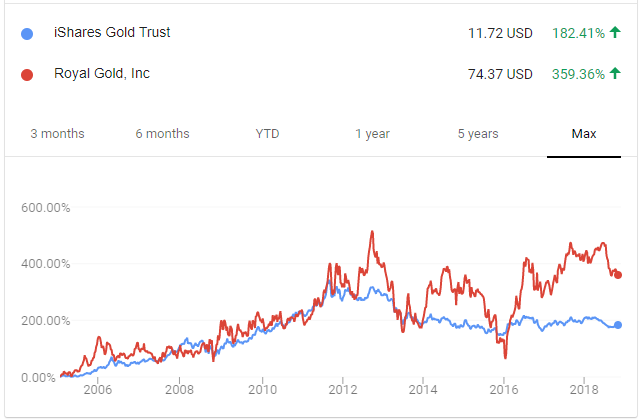 The SPDR Gold Trust (GLD) ETF for example was founded back in 2004, and it’s on the expensive side. Then the iShares version came out in 2005 and was a bit cheaper. Far later, in 2018, SPDR came out with their GLDM ETF, which is cheaper still. If there’s a disadvantage, it’s that they don’t have quite the “catastrophe insurance” vibe that physical bullion has. These ETFs aren’t redeemable for gold and silver, and you don’t physically have it in hand. So if there’s a zombie apocalypse and markets go dark, you’re out of luck. Another advantage is that you can sell options on these ETFs to gain leverage or income from them. I’m more inclined towards selling rather than buying options, personally. Covered call options or cash-secured put options on some of these ETFs can generate investors a decent amount of income. Identify an ETF that holds your desired metal, such as the iShares Silver Trust (SLV) or the SPDR Gold Trust (GLD), that also has a liquid options market. Sell cash-secured put options for shares of that ETF at a strike price that is below the current market price. If the put options expire without being exercised, keep the profits from the option premiums and sell the puts again. If the put options are exercised and you now own shares of the ETF, sell covered call options at a higher strike price than what you paid for the shares, and above the current market price. Continue selling covered calls, until eventually the options are exercised and the shares are sold. Start over, and sell cash-secured put options at a strike price below the current market price again. I refer to it as option-weaving. You weave in and out of the same shares by selling puts and calls, collecting option premiums at each step. This strategy naturally results in repeatedly buying fairly low, and selling fairly high, and collecting option income along the way. There are a variety of gold and silver mining companies to invest in. You can also invest in a handful of ETFs that hold a basket of miners. The advantage of miners is that in theory they can get around a lot of the problems of precious metals investing. Whereas precious metals don’t produce cash flows and cost money to manage, miners do produce cash flows and often pay dividends. However, gold miners are levered against gold. Whereas the price of gold might double or halve over a period of several years in extreme cases (from, say, $800 per ounce to $1,600 an ounce, or vice versa), gold miner stock prices could go up or down 5-10x. Suppose a gold miner has a free cash flow break-even point of $1,000/ounce, so when gold is above that point, they have positive free cash flow. In simple terms, if the price of gold is currently $1,100/ounce, the gold miner is making about $100/ounce in profitable free cash flow per year for each ounce they mine. If the price of gold jumps to $1,500/ounce and the gold miner’s expenses stay the same, they’re suddenly making $500/ounce in profitable free cash flow. Their profits jumped 400% even though the price of gold only rose 36%. If gold then falls to $800/ounce, the gold miner goes into the red and starts losing money fast and piling up debt and falling to a rock bottom share price. If you’re an investor in gold itself, you can wait out any downturns in gold price. But gold miners aren’t so comfortable; if gold stays low-priced for long, they can go bankrupt before the price of gold rises again. It certainly is possible for gold to drop below all-in sustaining costs (AISC) for years if for some reason demand falls, because annual production only equals about 2% of the current gold supply. In other words, the market can stay irrational for longer than miners can stay solvent. In addition, gold miners are historically not well managed. They don’t keep costs under control, and so they tend to miss out on the most profitable spikes in gold prices. They often make poorly-timed acquisitions when precious metals are highly priced, which turns into a value trap when the prices fall back down to normal. As a group they have low insider ownership and CEOs that are paid very high compared to the size of their companies. While there are some stand-out companies like Randgold Resources that know how to create shareholder value, the vast majority of gold mining stocks are just outright bad. A lot of gold mining stocks today are lower than they were in the 1990’s. I occasionally dabble in a specific gold or silver miner (including selling options with them to profit from their volatility), but for the most part stay clear of this industry. When it comes to precious metal companies, I prefer to stick mostly with gold and silver streaming/royalty companies. If you’re looking into how to invest in gold and silver, these companies are worth a serious look. Rather than operating mines themselves, streaming/royalty companies finance mines. They provide cash up front to develop a mine, and in exchange once the mine is active they get to buy a certain amount of gold and silver at far below market prices, or get a percentage of the output. Basically, a streaming/royalty company manages a portfolio of existing streams and continually makes new investments to acquire future streams. Gold and silver miners like to do streaming/royalty deals because if they issue normal debt, they are stuck with it regardless of the price of gold or silver. But by receiving money in exchange for a streaming/royalty deal instead, their streaming/royalty obligation is levered to the price of the metal they are mining. In other words, it’s like their debts go up and down with the price of the metal and with their profits, so it’s less risky for them. They’ve also paid dividends the whole time, so their total return is higher than shown. There are only a handful of publicly-traded precious metal royalty/streaming companies. These three are the oldest ones, and have large portfolios of active streams/royalties. These companies are younger and have a much larger share of potential future streams that are under development. They are riskier but if their investments work out, their potential upside is very large. Now that we’ve covered the ways that investors can invest in gold and silver, the next sections are about how to value it. Gold has been used as a currency in many places of the world for thousands of years. Unlike most metals, it is resistant to oxidation and corrosion, which allows it to preserve its value for millennia. It’s extremely malleable, very good at conducting electricity, and it’s pretty. About 85-90% of gold production finds its way into jewelry and bullion, and only 10-15% finds its way into industrial and technological use. This makes it inherently more like a currency than a commodity- its use does not really decline during recessions, and instead tends to increase in price during those times as fear and uncertainty are on the rise. Still, a small portion of gold is used for a wide variety of practical uses. For example, as an electronics engineer in the past I’ve used gold contacts for high-performance cables and I/O systems, due to the combination of high conductivity and strong resistance to corrosion. The debate on what exactly moves the price of gold, or how to value it, is a philosophical and economic point of difference between experts with no foolproof answer. Its price at any given time is determined partly by public emotion (economic fear or confidence), partly from real interest rates (since cash that earns actual interest returns in a bank may be more desirable than holding gold that produces no cash flow), partly from inflation or perceived future inflation (against which gold holds its value very well), partly from energy costs and other costs associated with mining it out of the ground (which can affect supply and demand), etc. For most of US history since its founding, an ounce of gold was worth about $20, because money was defined by a quantity of gold. This spiked higher during the civil war, but was defined back down not long after. In the post-Depression 1930’s, gold was redefined at about $35 per ounce. Eventually in the 1970’s, gold was decoupled from US currency, and so it has inflated in its face dollar value ever since. The highest price ever recorded was mid-2011 when it touched over $1,900/ounce during a gold bubble. So, is there any way to value gold in a fundamental sense? There are a few easy ways. There is about one ounce of refined gold in the world for every person, and the supply of gold increases at approximately the same pace as population growth. Thus, the amount of gold per human is relatively fixed. On the other hand, most central banks around the world keep printing more units of currency on a per capita basis. The number of dollars per American keeps increasing, the number of yen per Japanese person keeps increasing, and the amount of euros per European keeps increasing, even as the amount of gold per person is relatively fixed. In theory over the long term, the price of gold should keep up with the growth of per capita money supply. In the United States, this has averaged over 5% per year over the long-term. The other way to say it is that because the number of dollars keeps increasing per person while the amount of gold per person is static, the dollar should devalue against the price of gold at the rate of new money creation per capita, or about 5% per year on average. And in the chart above, that’s indeed what has happened over the past several decades; gold prices have grown at the same rate as per capita money supply, but with volatility. 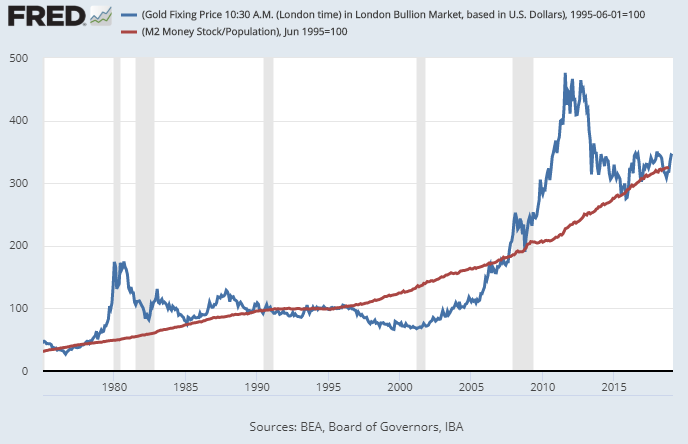 During periods of currency instability in 1980 and 2011, thanks to inflation and money-printing respectively, the price of gold temporarily spiked way higher than the growth of per capita money supply, but eventually came back down to the trend. 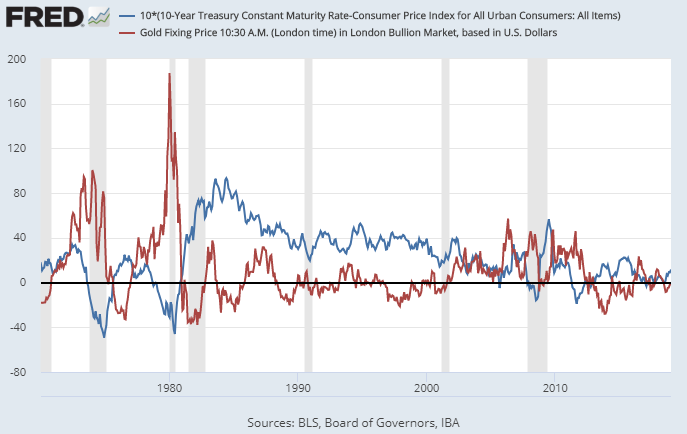 During the late 1990’s and early 2000’s, there was a sustained period of strong economic growth and high real interest rates, which temporarily suppressed the price of gold relative to the growth of money supply, but it eventually climbed back up to the trend. As a general rule, I’m willing to buy gold as long as it’s not way above the money supply trend. I collected small gold and silver coins in my teens in the late 1990’s and early 2000’s. I then sold all my gold and silver coins in 2011 when it was in a bubble, and started buying back in 2016 when it came back down to the trend. All-in sustaining costs (AISC) of gold mining companies measure the partial costs of various gold miners to produce gold, and is reported per ounce. If the price of gold per ounce dips too close to these values, or goes below them, gold miners become unprofitable. Realistically they become unprofitable above that level, but this is an industry-defined number. AISC is a metric published by the World Gold Council and reported by various gold mining companies, meant to help standardize reporting about mining operations. It is now applied to other metals as well. Top miners currently have AISC at under $1,000/ounce, with the lowest ones under $800/ounce or as low as $600/ounce for specific massive mines. That’s how much money it takes to produce an ounce of gold. If the gold price drops to that, gold miners don’t make money because it costs them more money to produce the gold than they get for selling it. The amount of money it takes to mine an ounce of gold has increased dramatically over the last decade. Energy and labor prices have affected the cost significantly. Exploring for new deposits in difficult locations, securing permits amidst legitimate fears of environmental damage, and setting up mining infrastructure is a long and expensive process. And as the easier gold locations get mined out, the ones that are left are harder and more expensive. And then on top of that, the free cash flow (FCF) breakeven point tends to be about 50% higher than the AISC per ounce. So, if a company reports AISC of $750/ounce, it would typically need gold to be at about $1,050/ounce to report positive free cash flow that year. Of course, this also varies from company to company based on a lot of variables, but the rule of thumb here is that AISC is an under-reporting of how much it costs to profitably mine gold over the long term. A good sanity check is to look at 3 or 4 of the top gold producers occasionally, and see if they currently have a lot of positive free cash flow as a group. This can give you a hint as to whether gold is overvalued or not. The point is that gold does have a rational price range. If it goes under $1,200 per ounce, the less efficient gold miners may start cutting operations, thereby reducing global gold production, which helps keep a natural floor to how low the price of gold should go. If it goes under $1,000, then even more efficient gold miners would have trouble being profitable. There’s no hard floor to the gold price but the lower it goes, the more production would be reduced, which would have a gradual upward effect on the supply/demand balance. The total amount of gold cumulatively mined since the dawn of time is impossible to measure for sure, but is widely cited as being under 200,000 tons, and in terms of volume less than a cube that is 25 meters on each side. That’s a tiny volume of gold for the whole world. The peak discovery year for gold was in 1995. The industry has never found as much gold in one year as it did that year, and this has been a clear trend in discovery charts. And it takes about two decades to turn a gold discovery into an active gold mine due to the difficulty in getting regulatory permits and the lengthy construction process of building infrastructure for a gold mine. Because of this, many industry experts expect us to be at around peak gold production right now, around 2020, because we’re about 25 years after that peak discovery in the mid-90’s, when maximum production may be coming online along with moderately high gold prices that justify the output. The long story short here is that it’s worth paying attention to gold miners to see how profitable they are at current gold prices, and whether they are able to spend enough money on new gold exploration to replace their underground reserves. When gold gets too cheap, gold production can dwindle until the supply/demand balance forces higher gold prices and more exploration. As this article describes, prevailing real interest rates significantly affect the price of gold. The price of gold is affected by multiple things, with no perfect correlation to any one thing. However, real interest rates are one of the major inputs that can affect the price of gold. The real interest rate is the difference between a safe investment like a Treasury bond, and inflation. During times of very low interest rates, the interest yields of premium saving accounts and Treasuries may be lower than inflation, meaning that people who are saving diligently are still losing purchasing power. In contrast, during periods of higher rates savers in those instruments may get a real return over inflation. Gold is an ancient form of money, something that stores value over millennia by keeping up with inflation of fiat currencies, albeit with substantial volatility. If savers have the option of holding gold that keeps up with inflation and maintains global purchasing power over the long term even in the event of a catastrophe, or holding fiat currency that is currently paying negative real interest rates (rates that don’t keep up with inflation, thereby losing purchasing power), then suddenly gold becomes quite appealing. Higher demand for gold can lead to higher gold prices. On the other hand, if savers can get a decent real interest rate above inflation on their savings accounts and safe bonds, then the desirability of holding gold diminishes. Lower demand for gold can lead to lower gold prices. Gold, however, is also impacted by volatility in the markets. When investors get scared, they often turn to gold and drive the price up. Therefore, while interest rates play a major role in gold valuation, they are far from the only variable involved. Therefore, when deciding how much gold to own (if any), your expectations of future real interest rates should be factored in. If you expect savings accounts and government bonds to give strong real returns, then the price of gold might be in for a rough time for a while. On the other hand if you think real returns from savings accounts and safe bonds won’t be great, then gold might be a good place to allocate some money. Silver is the most electrically and thermally conductive of all metals- even more so than copper. But unlike gold, it tarnishes easily. Silver is used in trace amounts in just about every electronic device out there and plenty of other industrial applications such as in glass and solar panels, and is more of a functional metal in practice than gold is. This sounds like a good thing, but when a recession hits and economic production goes down, the industrial demand for silver falls, and the price of silver usually falls. This makes it too correlated with equities to be useful for this primary purpose of offering downside portfolio protection. This is true for platinum and palladium as well; they generally decline in price during recessions like equities because they are used in industry, such as for catalytic converters on automobiles. The “good” news about silver is that it’s more volatile than gold. That means that opportunistic investors can make a lot more money from selling options in silver ETFs or silver miners. For patient, long-term investors, volatility is a good thing. In terms of valuing silver, you can follow a similar approach as with gold. Pay attention to current AISC of silver per ounce, and compare the current price to its historical inflation-adjusted price. Also take note of real interest rates on safe investments. Going back thousands of years, gold was traditionally valued at 10-20x as much as silver. Although there were some temporary anomalies, the ratio always reverted to being in that range whether you look at Greece, Rome, Japan, China, or the Middle East over any sufficiently long stretch of time. During the early years of the United States and during Napoleon’s reign in Europe, the price ratio was set at about 15-to-1. During the past century, though, the ratio has averaged about 50-to-1, which is far higher than in thousands of years of global history. But in this past century, it has varied between 10-to-1 and 100-to-1. Gold is volatile and silver is even more so. During 1980 and 2011, when gold spiked to its highest inflation-adjusted levels in modern history, silver spiked even higher (relative to its normal price), and closed the gap to under 15-to-1. However, during periods where both gold and silver were cheap compared to their historical averages, gold’s ratio to silver would increase over 50-to-1, sometimes peaking up to 100-to-1. Even in just the last 10 years, the price ratio has varied between 30-to-1 and 86-to-1. As of right now, the ratio is 86-1. Gold is historically overvalued compared to silver right now, and silver is not too much higher than its AISC. Thus, I’m bullish on silver. Interestingly, although silver is about 20x as abundant in the earth’s crust as gold, it’s a lot less than 20x as abundant as gold above ground. That’s because gold is hoarded by central banks and governments, while silver is not. Very little silver is owned by those massive institutions, and it’s more dispersed in electronics, glass, silverware, jewelry, medical supplies, and other things. Much of it gets thrown away, when windows and electronics are tossed away. Nobody throws out gold in large quantities, though. It’s a lot harder to estimate the amount of silver in the world, whereas there is a fairly tight consensus estimate for how much gold there is. If anything, that justifies the historical ratio of about 15-to-1. But, for one reason or another, the price of gold has recently outpaced silver. Their supply and demand forces are governed by different markets, and their mining characteristics and costs are different. Silver nowadays is often a byproduct of other types of mines. During times where you notice that silver is reasonably-valued or undervalued in terms of 1) historical inflation-adjusted price, 2) gold-to-silver ratio, and 3) current AISC of silver (and silver companies not making a lot of free cash flow), it makes sense to have some silver exposure. Another thing to make note of is that electric vehicles have about 3x as much silver in them as combustion-engine vehicles. Because silver is heavily-used in electronics, there are arguments that demand for it should increase substantially in the next few decades as electric vehicles and smart appliances take hold everywhere. In contrast, platinum is heavily used in catalytic converters of combustion vehicles. Over a third of all platinum demand goes to catalytic converters. Electric vehicles don’t have catalytic converters, which means there may be less demand for platinum in the future. The Oracle of Omaha has critiqued commodity investing with a lot of memorable quotes. It’s a relatively unknown fact, though, that Buffett did invest in silver once, despite all his criticisms of commodity investing. And he did so profitably. Specifically, through his company Berkshire Hathaway, he bought about 4,050 tons of silver during a period between 1997 and 1998. 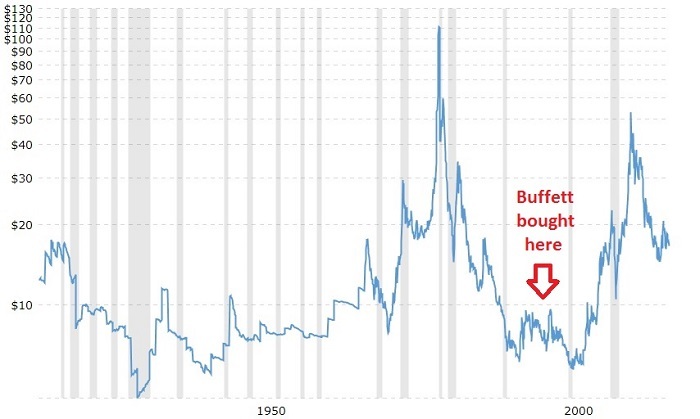 When everyone else was buying wildly overvalued tech stocks during the Dotcom Bubble, Buffett was instead buying cheap things like value stocks and silver. Berkshire officially stated that the reason for the purchase was that due to the supply and demand characteristics of silver, they expected it to appreciate in price. In other words, they correctly thought it was undervalued. Due to the sheer volume of silver acquired in the course of a year, some people accused him of manipulating the price of silver. His company later sold it for a higher price than it was purchased for, and it was a profitable investment. This whole event is mainly just a fun fact. But it’s an example of how, although gold and silver do not produce cash flows, there is still some semblance of a way to value them. A smart investor will identify undervalued or reasonably priced assets in all sorts of different areas. Investing in gold and silver is useful because precious metals are a separate asset class from stocks and bonds, and are partially uncorrelated and have their own unique risks and opportunities. This makes them particularly suitable for using as part of portfolio diversification strategy. There are many ways to invest in gold and silver, and the best method can vary depending on your goals. Personally, I mostly invest in precious metal ETFs and streaming/royalty companies for the 5% gold and silver allocation in my portfolio. I also think owning a couple gold coins tucked away for emergencies along with some physical cash is not a bad idea. In my free newsletter, in addition to discussing the markets and various stock opportunities, I keep readers up to date every month or two with my own precious metal investing, including what specific positions I currently have. If that’s of interest to you, make sure you join.